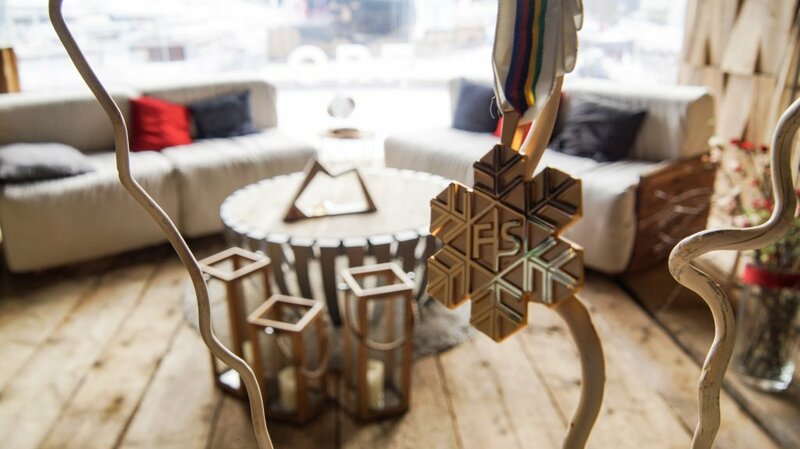 The pictures of the FIS Nordic World Ski Championships in Seefeld go around the world: 900 hours are broadcast live worldwide. Many more hours are reported on various stations about the events and backgrounds of the World Championships. 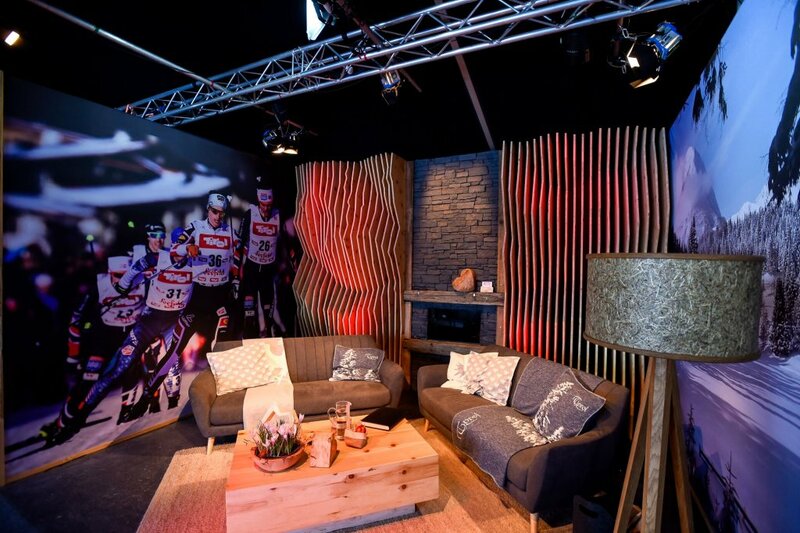 Two TV stations have even moved their studios directly to Seefeld for the World Championships: The Austrian channel ORF and the Norwegian channel NRK. 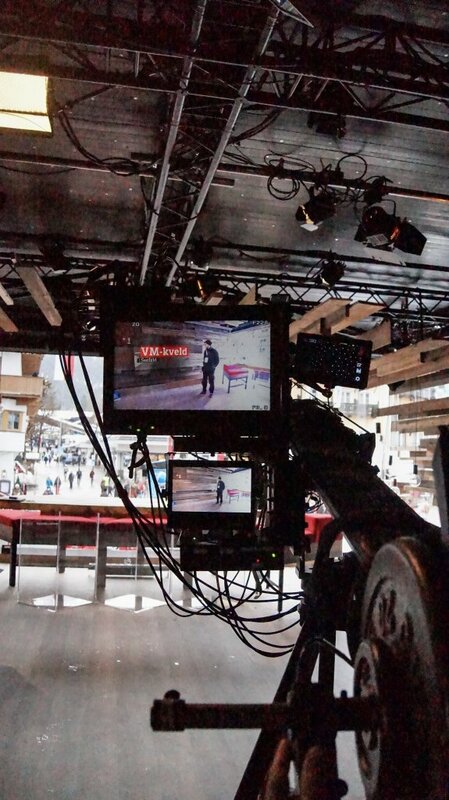 We took an exclusive look behind the cameras and into the studios of the broadcasters. 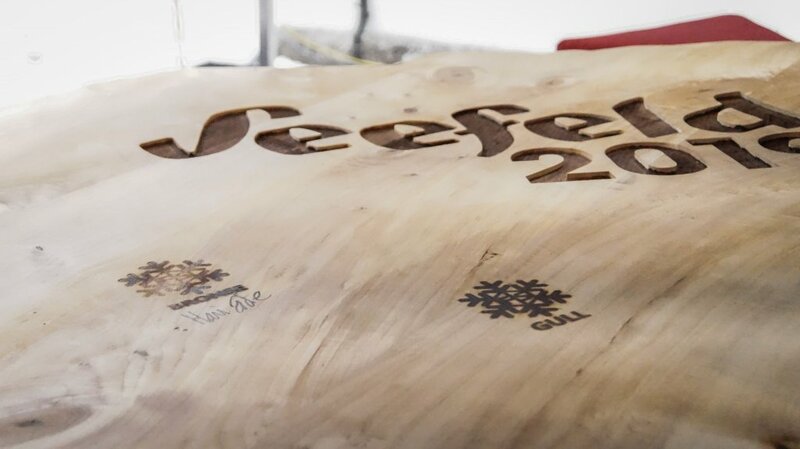 The FIS Nordic World Ski Championships in Seefeld are a great success for the Norwegians: there is hardly a competition where the Norwegians are not on the podium. The medals table is firmly in their hands and the fans have a lot to celebrate. 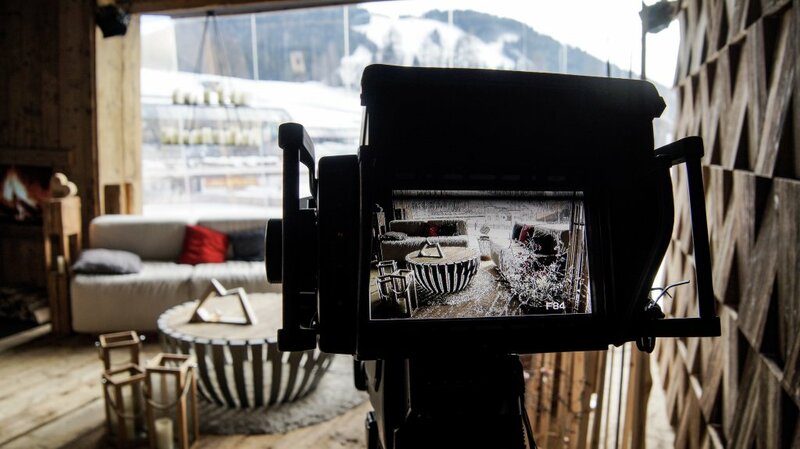 Norway is a “Nordic nation” – and that is why the Norwegian TV channel NRK has set up a studio in the centre of Seefeld in order to be able to report on the events in Tyrol in the best possible way. 65 employees are on site in the glass studio. They broadcast about 20 to 45 minutes a day. 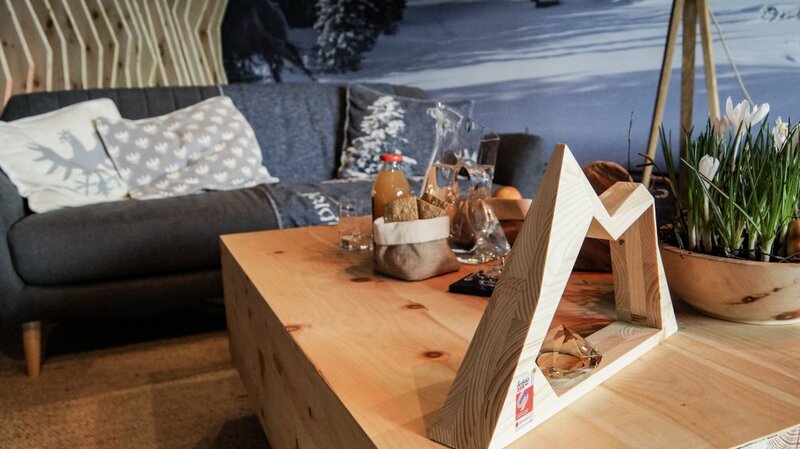 The Norwegians even brought the interior fittings from the far north: the wood was imported from the capital Oslo. By the way: To make sure everything really fits, they have already completely set up the studio beforehand for testing purposes. In the studio there is a large panning camera with an infrared camera attached at the front. It recognizes all “dots” in the studio and thus recognizes where the presenter stands. This is important for the graphics: In the broadcast, a picture of the competitions is always displayed. The graphics for it come from the trucks that are near the venues and thanks to the infrared camera they “magically” appear in the picture next to the presenter. 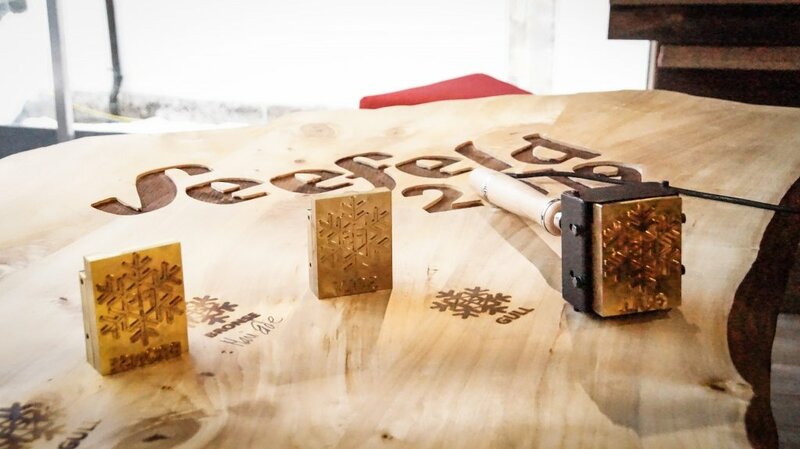 The NRK studio also has a wooden table that honors the winners: Their names are burned into the wood. 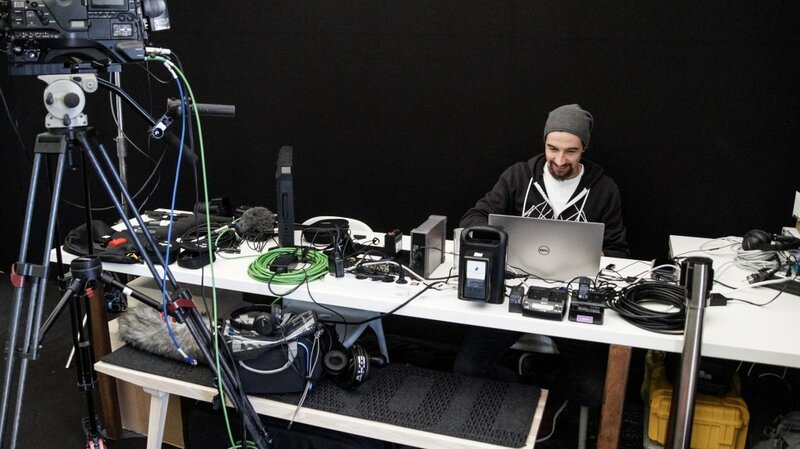 The size of the studio is a small challenge for the team: “small” in the truest sense of the word. Usually they have more space and so the work here is quite hectic. 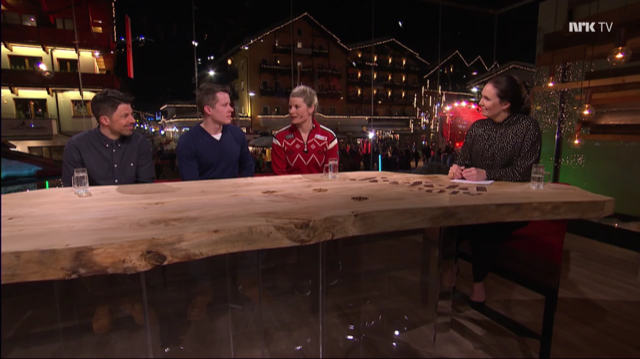 Nevertheless, NRK can report from the heart of Seefeld about the Norwegian heroes of the 2019 World Championships in Seefeld. 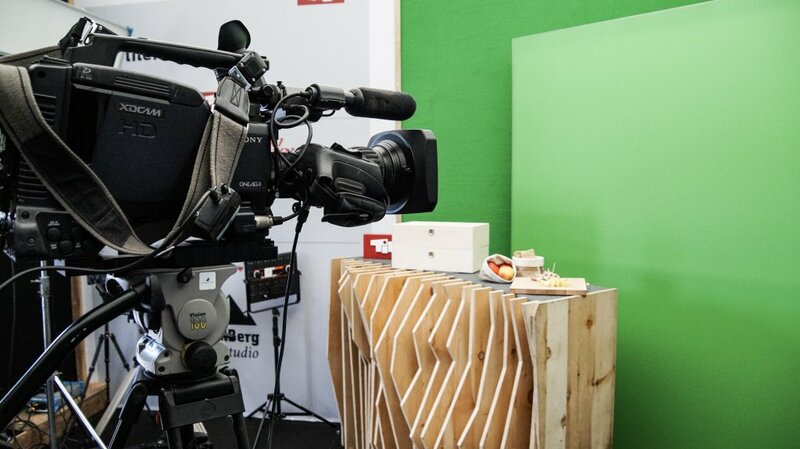 The TirolBerg TV-Studio is an Austrian cooperation: the Austrian channel ORF broadcasts live from there. 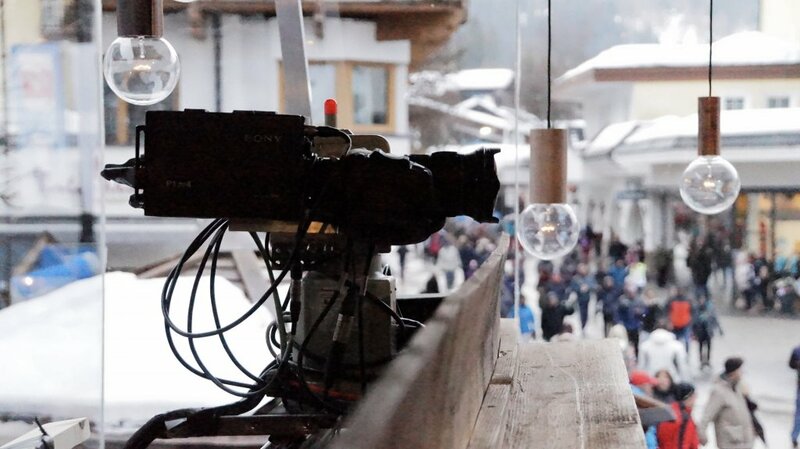 On one side of the studio is the ORF studio with a fantastic view over the Medal Plaza and the Seekirchl. 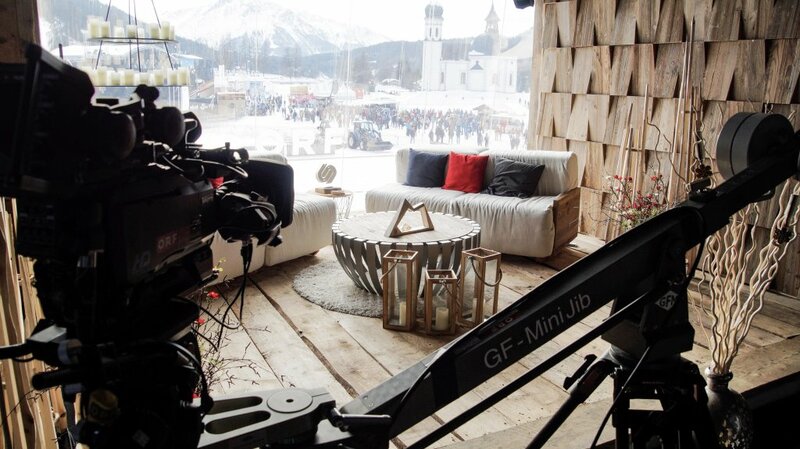 On the other side is the TirolBerg TV-Studio, furnished in the chic Tyrolean style. 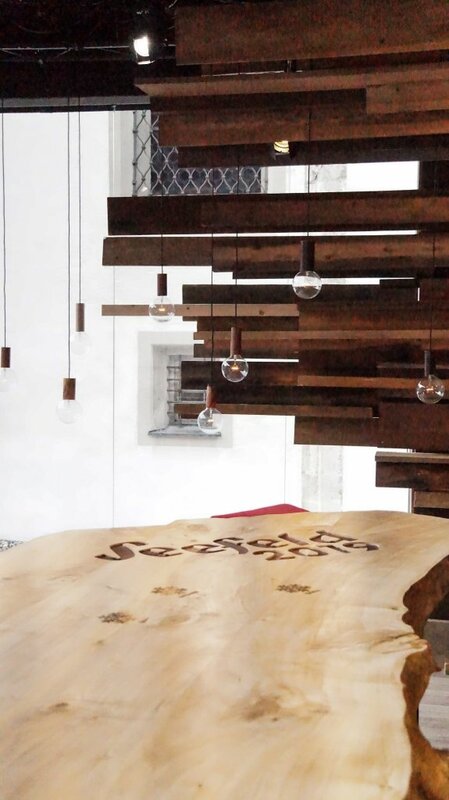 You can see and smell that: when you enter the studio you immediately notice the pleasant smell of wood and the atmosphere is warm and welcoming. Should the ORF and TirolBerg TVS-Studios shoot at the same time, there is the Green Room with a green and a neutral wall: Here they can film and and make the background look like it was filmed in the TirolBerg. 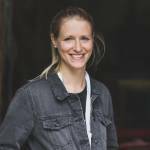 Around 20 employees work in the shared studio. There is also a mobile camera team. The ORF broadcasted a total of 60 hours live from the studio as well as other reports. 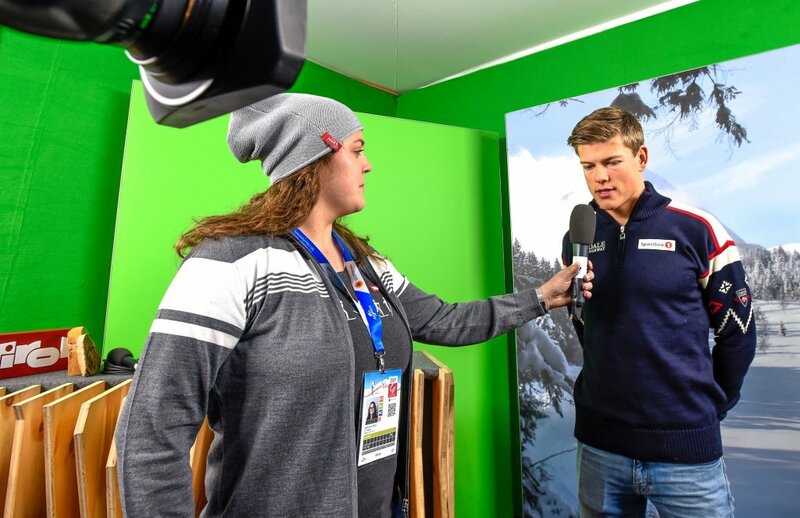 The World Championships in Seefeld were a complete success for the ORF: According to the TV channel, a total of 2,818 million viewers in Austria watched the broadcasts. That is 37 percent of the population aged over 12. The most popular programme was the competition of the combiners. 719,000 Austrians switched on ORF on the 24th of February. 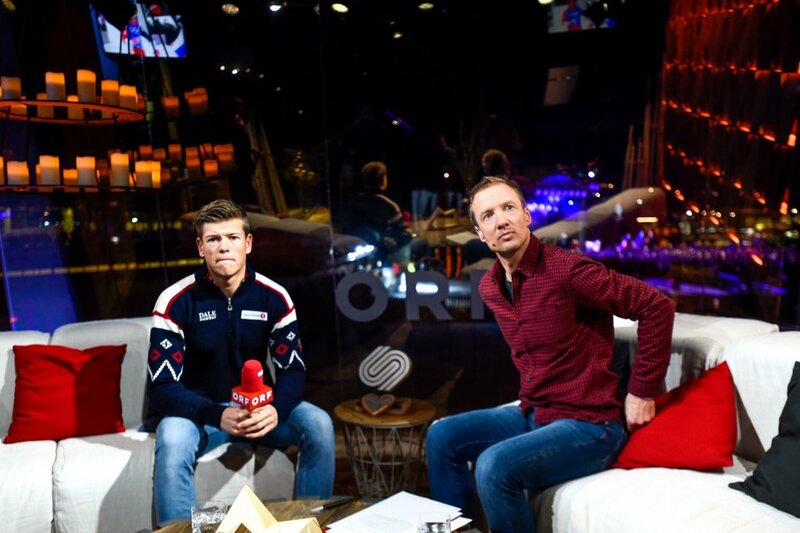 The ratings for the men’s team ski jumping competition were also more than satisfactory: 718,000 viewers fevered in front of the television. That is 44% and 39% market share. 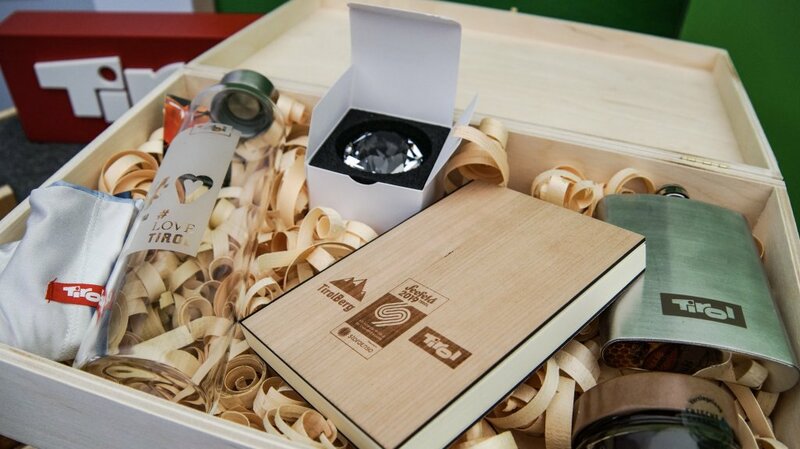 The interview partners of the TirolBerg TV -Studio are rewarded with a nice gift basket. The guests are also be welcomed with a delicious Tyrolean “Marend”, a plate with local delicacies like cheese, bacon and bread.